A friend asked for a little bouquet for her little office. So I made her something cheery and small. 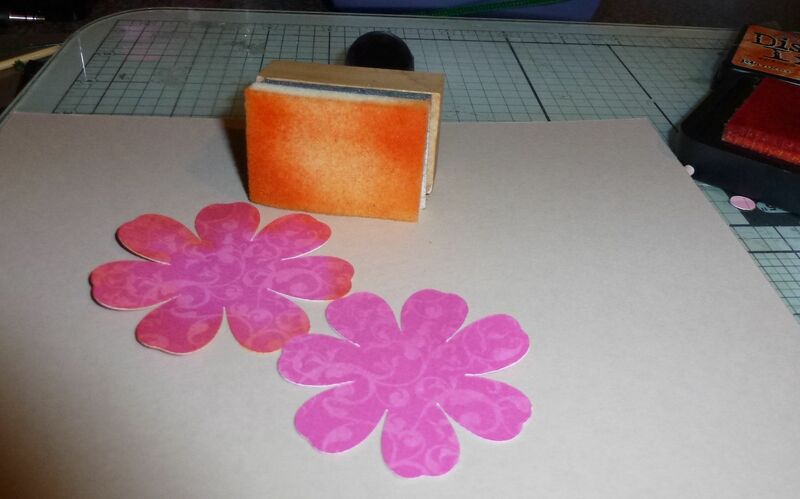 I was inspired by Roree Rumph’s fabulous F is for Flower on the Cricut Circle Blog. 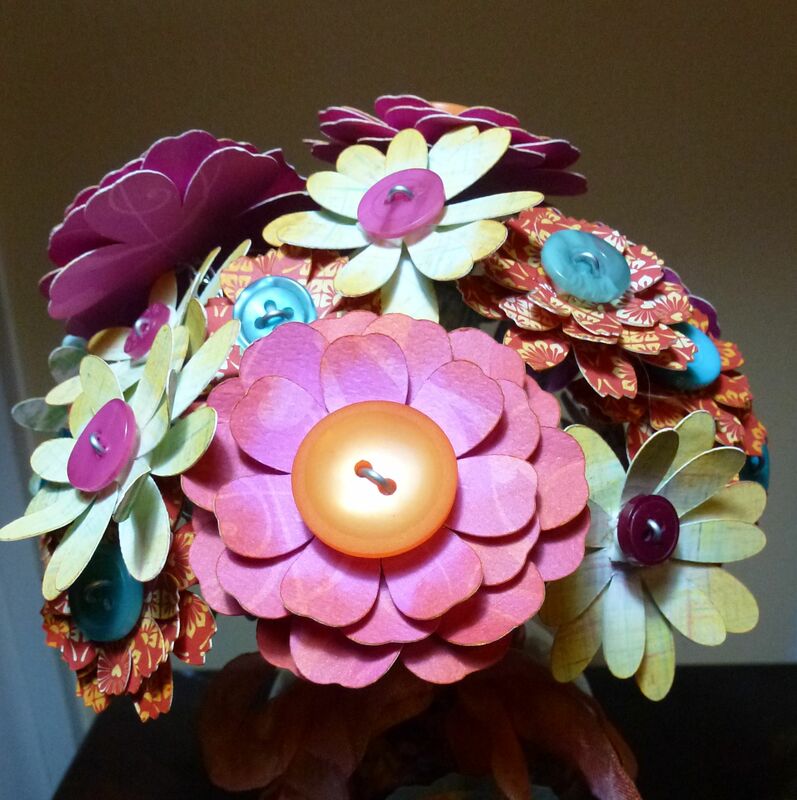 This bouquet uses Mother’s Day Bouquet and Flower Shoppe. While Roree used the same color button on her flowers as a means to unify her bouquet, I used the same color of ink (Distress Ink Spiced Marmalade) in order to get fuchsia, dusty red, and ivory to work together. I will show you what I mean with the large bloom. Beautifull bouquet!! 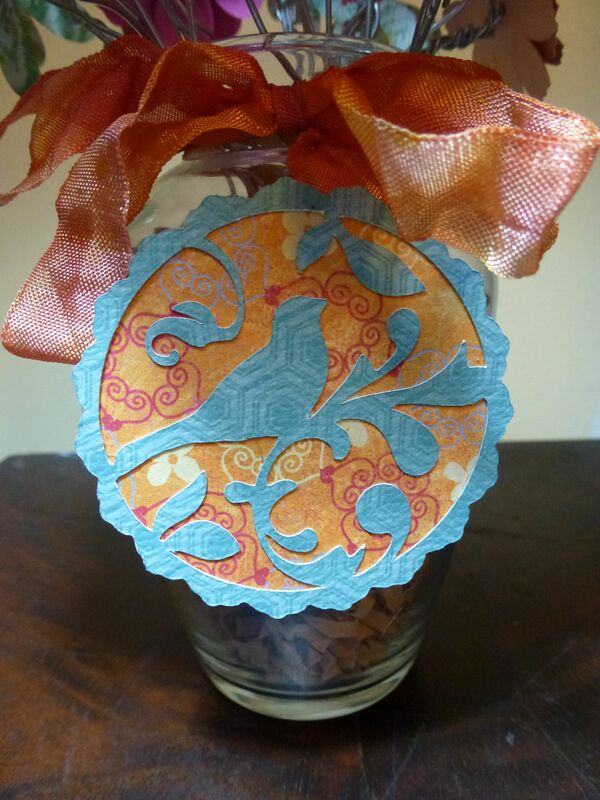 I love how you used the Spiced Marmalade to tie all the colors together! This is lovely! I love the button centers and the patterns you chose! 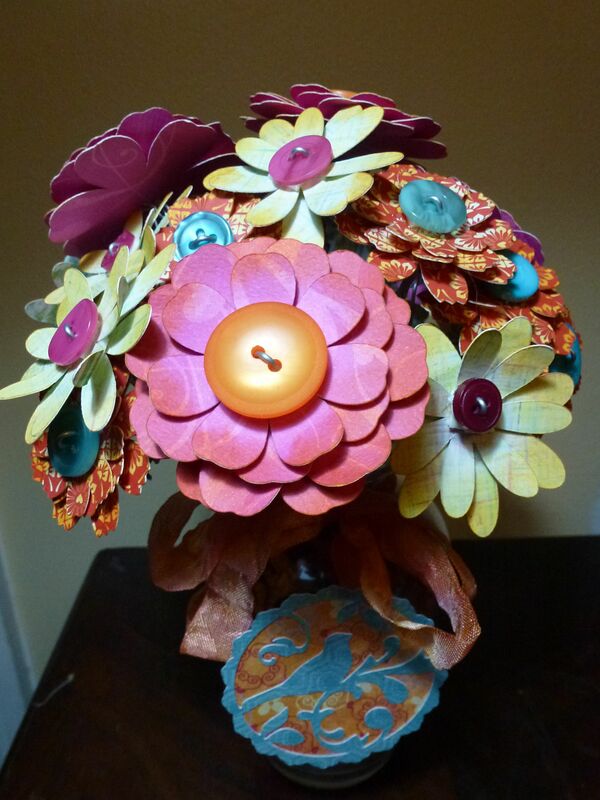 I loved that bouquet too…..and yours is just as fabulous. I want to do a small one of these for my daughter’s dorm. I hope it comes out as cute as this!